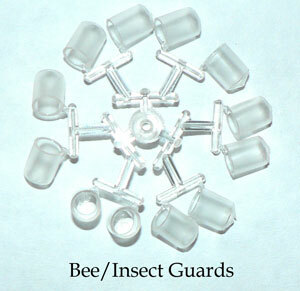 With these HummZinger Nectar Guards Tips you can make your HummZinger feeders bee proof! 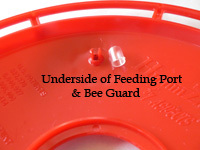 Nectar Guard tips easily slide onto the feeding ports on the underside of the feeder cover. The flexible membrane in the center of each tip easily opens when hummingbirds insert their beaks to feed and close up tight when beaks are removed. 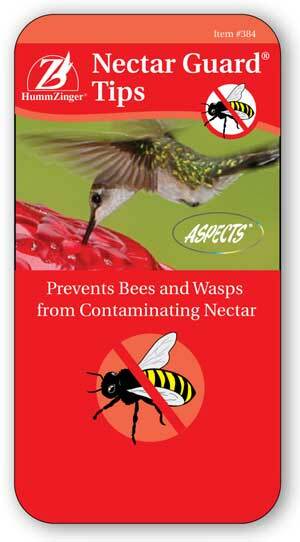 Nectar Guard tips create a barrier flying insects can't penetrate. For use with all HummZinger and HummBlossom hummingbird feeders.